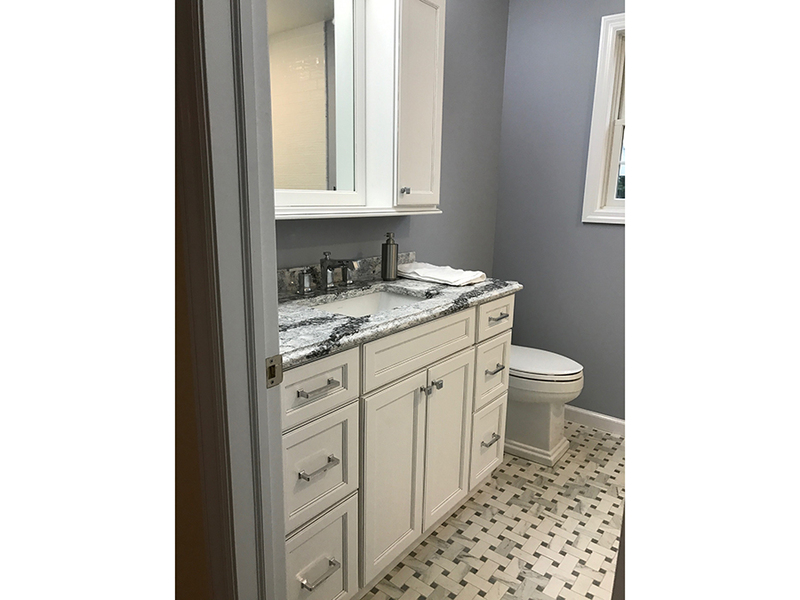 Showplace Wood Cabinetry, Breckenridge Full Overlay doorstyle in Pure White Paint & Pewter glaze. 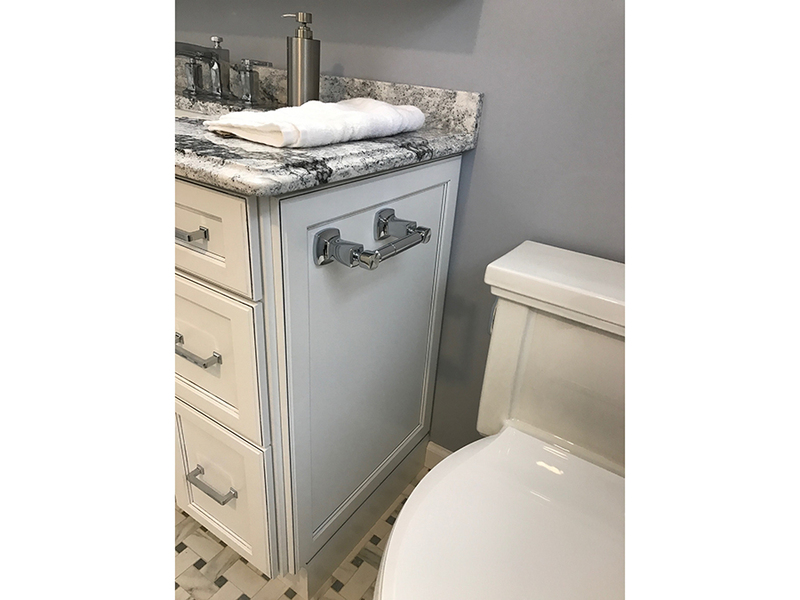 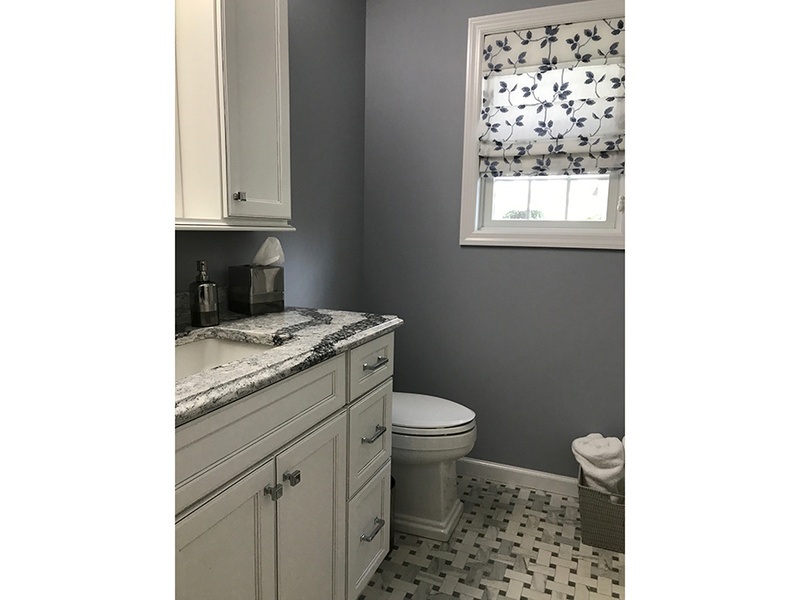 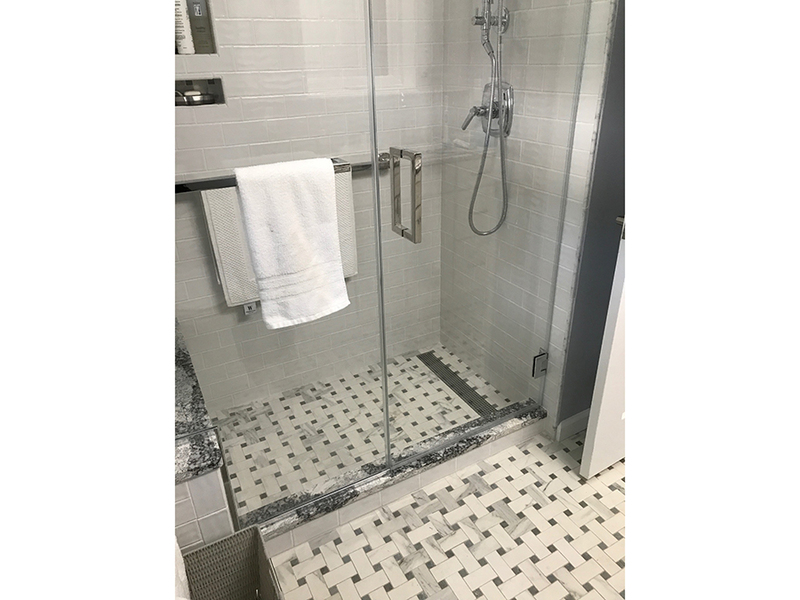 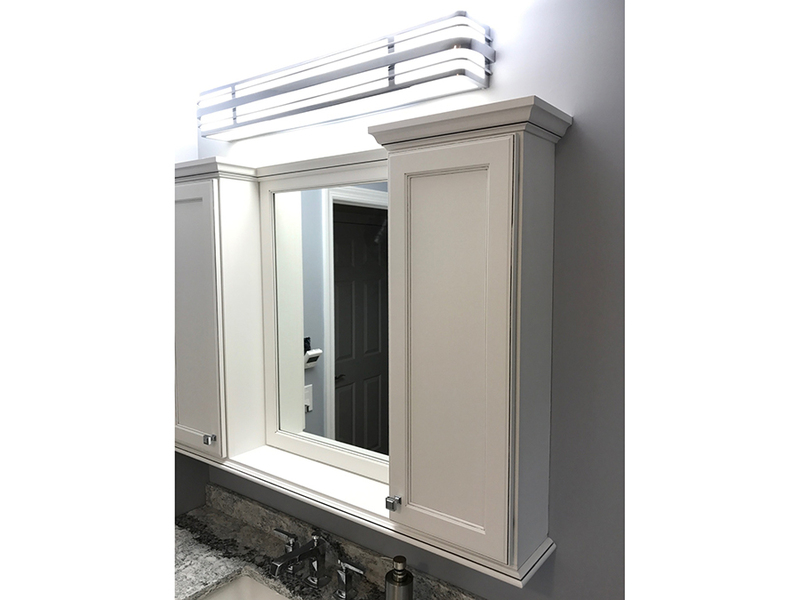 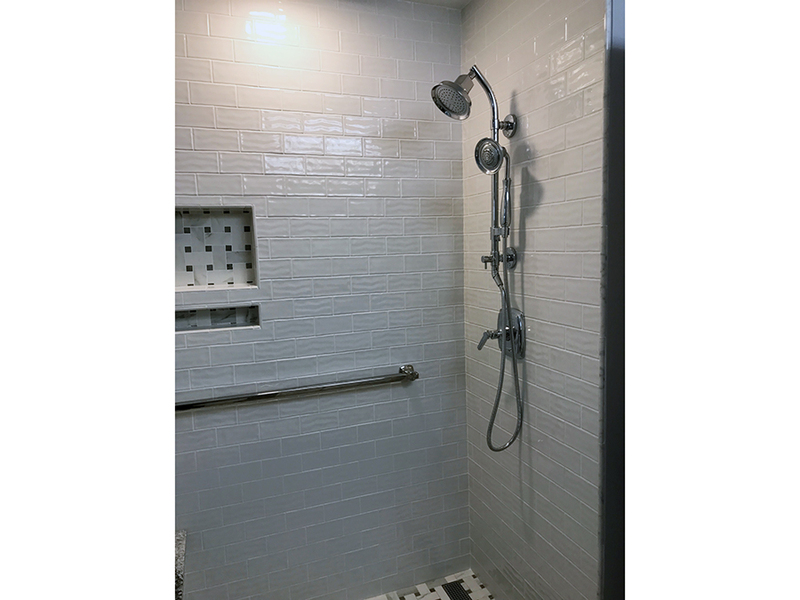 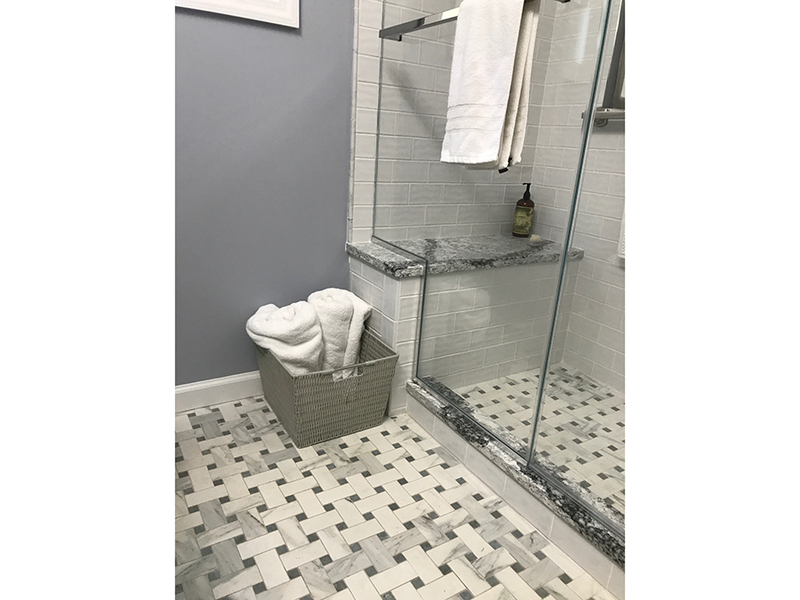 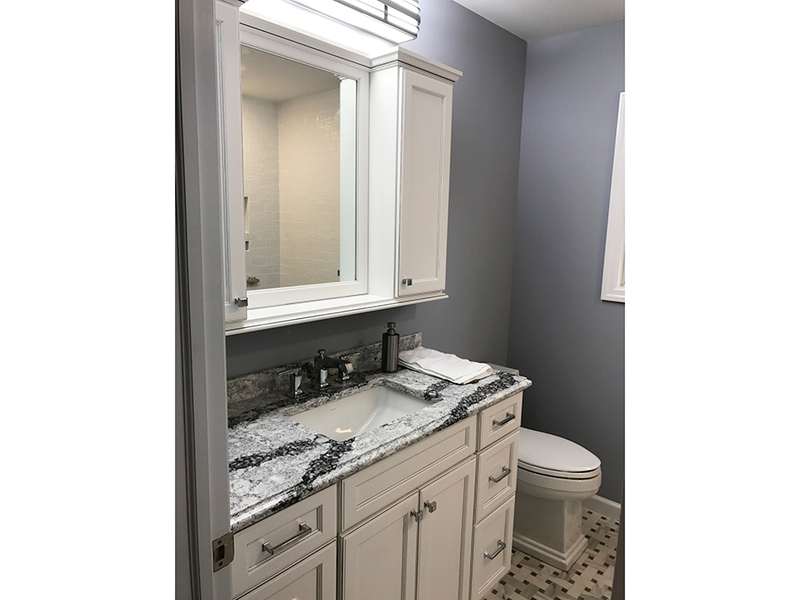 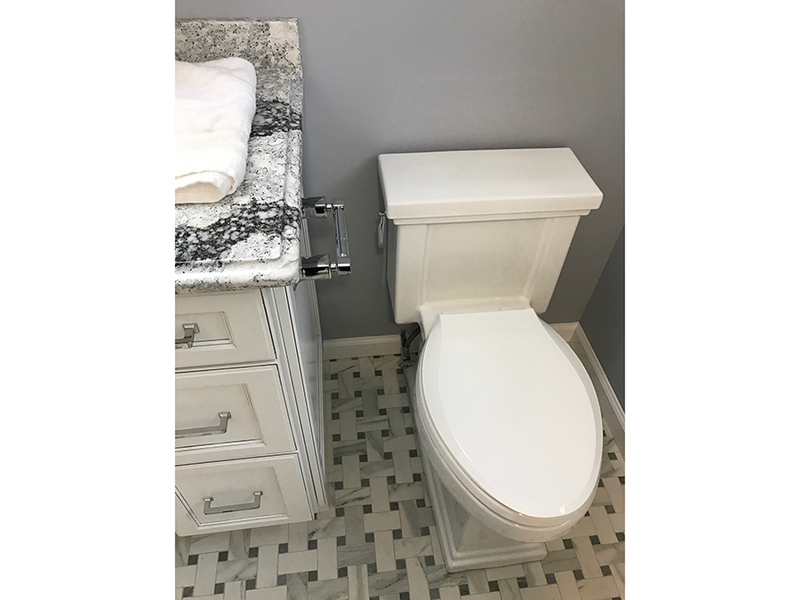 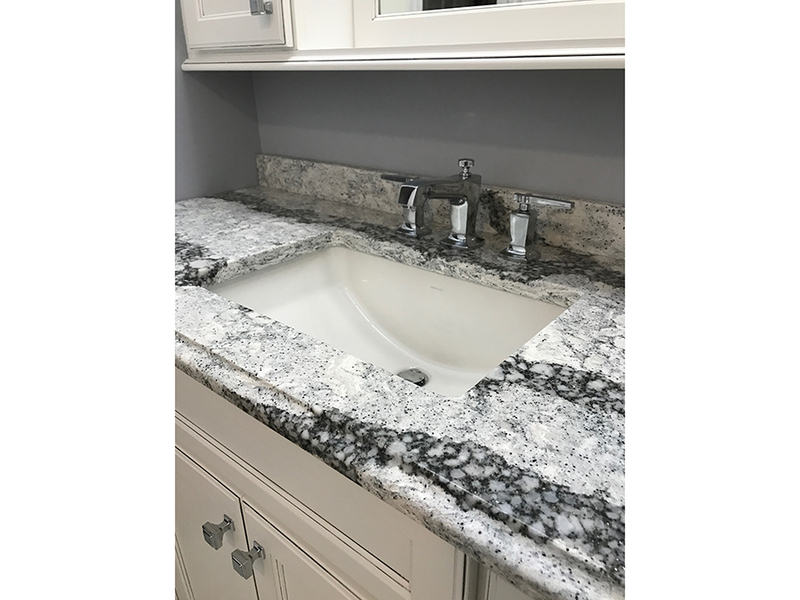 Counter top, shower seat, shower sill are Cambria Seagrove quartz. 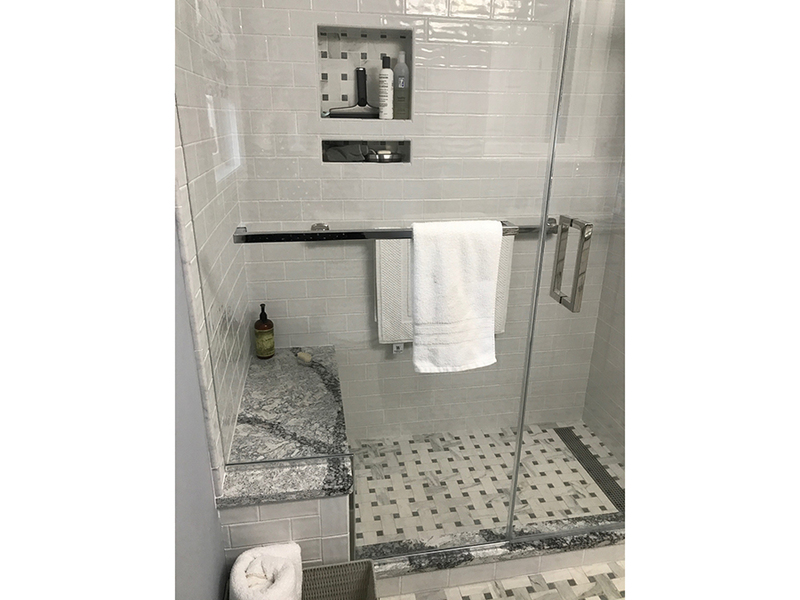 All bathroom fixtures including towel rack, shower grab bars, towel bars, toilet tissue holder are Kohler.